Once again Susan and Cassandra have hit it out of the park! This book is so fantastic! I love these characters and love them more with each book. Side note: You MUST read Sightwitch before this book. There are so many things you learn in that book that are pertinent to this story. I think it would be very confusing without that knowledge. This book really took a bit to get me invested. I was intrigued by the story line and the 'mysteries' everybody is always talking about but I found it to be a slow start. I also had to get used to Kate Rudd's narration. The inflection of her voice still kind of annoys me but it did seem to work for the 12 year old girls. However, I am very curious where this book is going to go and have picked up book 2. 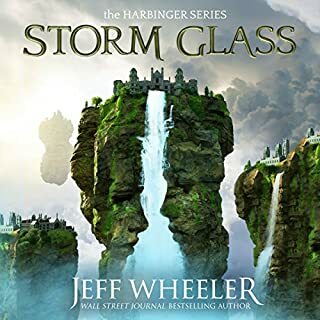 It is my first Jeff Wheeler book and I am very curious about all the rest of them. I was really unsure about picking up this book. 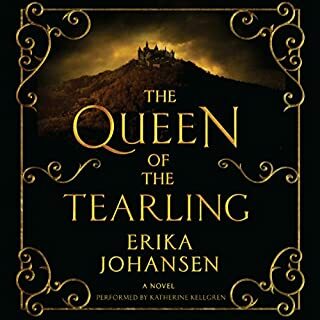 I liked the first one, but wasn't crazy about the narrator and it took me awhile to get into the story. The reviews were really hit or miss and I debated spending a credit on this book for quite awhile. I am so glad I picked up this one! I thought this narrator was ten times better than the first. I loved the addition of Lily and the more adult nature of this book. Yes, Kelsea is young and sometimes annoying but it is believable and I like the way she changes through out this book and at the end. I am really looking forward to picking up the third book. Every person should read this book. I learned so much and the facts point so obviously to a chronic lack of sleep Nationwide. I will be gifting this book to my parents for Christmas. I loved listening to this book. It was really interesting and peppered with fun stories that made it even more entertaining. 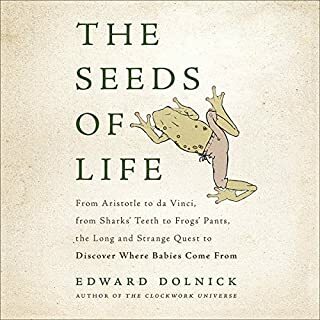 If you enjoy history and have any interest at all in biology, you should read this book! Definitely. 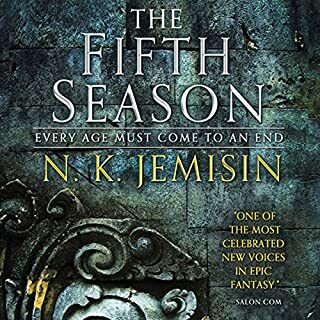 This series, and this author, is one of my favorites that I have read in a very long time. The story is engaging, the characters relatable, and the world completely believable as something from our future. This story is a dystopian novel, set in our future, although so distantly that it is less about how we might ruin the world, and more about how those after us will save it. It was great to have the past slowly revealed and learn how humanity got where they did. This is less about one character, but I love how this story is told. It is almost like a first person story told through third person. It was so interesting, and unlike anything I have heard before. Both so much! It was an incredibly touching ending to the trilogy. Love Love Love. I can't say it enough! Would you listen to Golden Son again? Why? Yes! I would love to delve into this series again. I think after listening to all three books, there would be so much more to learn and catch on a second listen-through. 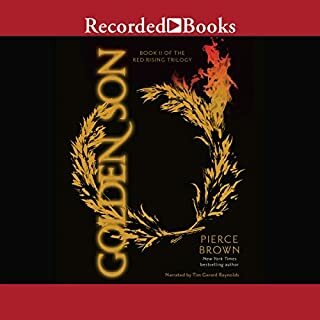 What other book might you compare Golden Son to and why? Although I have not read GOT, there is a lot of death and gore in these books that I think would be comparable. You should be prepared for people to die. Tim Gerard Reynolds is my favorite audible reader! 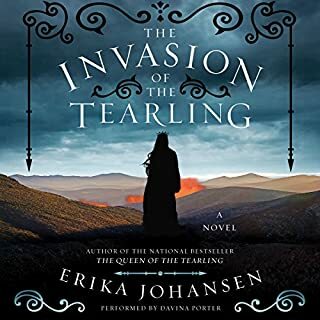 He does a great job distinguishing between voices and I think his voice has been perfect for Darrow's thoughts and narration. This series has been amazing. I have never read a book that could make me cry, laugh hysterically and contemplate the faults of humanity within one chapter. 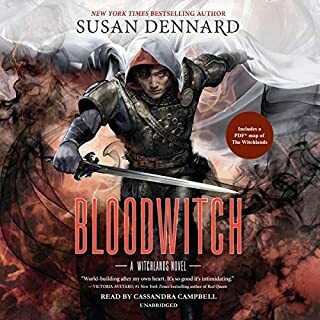 I really think this might be my favorite book series I have ever listened to. The characters are so well written and really reveal how gray morality can be. This book is about the faults humanity has and how we can overcome them with love and empathy. Some people have complained that this book is a lot of talking and not enough action. I disagree. There is a lot of Darrow's thoughts and musings on what is going on around him but I think that is what makes this book so great. It allows you to not only enjoy the book but really contemplate humanity and the good and bad you see within our own world. If you are debating this book, read it! You will not regret it. Also, if you read the first one there is enough of an ending to stop. But if you read this one, you will HAVE to pick up the third one. It took me awhile to get into the book. The narrator has a tendency to shout a lot during the action scenes. It was a little annoying at first, but I started to get used to it. The story was interesting and I think I will probably pick up the next one. This was such a good continuation of the first book. I have a hard time describing what I love about this series without giving it all away. The voice N.K. 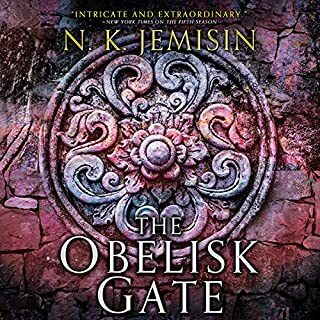 Jemisin has developed is so unique. She is a master of releasing information to you and helping you make connections between story arcs without actually having to say anything specific. The characters are relatable is some ways while they do crazy almost unimaginable things. It all weaves together so well. I cannot wait until the third book is released. I desperately need to know what happens next! 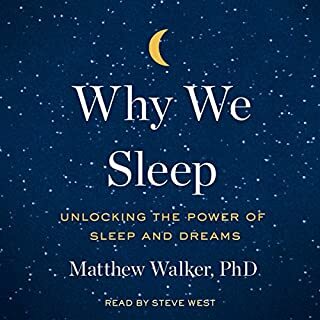 This book was one of the best I have listened to in a long time. The writing is excellent. 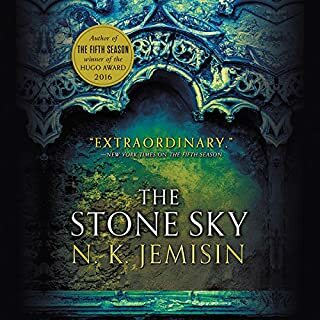 Jemisin has such a wonderfully specific voice and I haven't heard anything quite like it before. Definitely worth picking up!